Pathologic 2 celebrates it's release date announcement by showing the more bizarre aspects of the narrative-driven survival thriller with a Children of Gorkhon trailer. DoubleDutch and tinyBuild today announced that SpeedRunners will be coming to Xbox One after its Steam release. Wondering what to do after you defeated the final enemy and rescued the princess? You may be interested in Spoiler Alert, a platformer game played in reverse. We take a look at Enter Skies' wonderfully weird RPG: Fearless Fantasy. Does the weird outweigh the bad? Read our full review to find out. SpeedRunners is an overlooked gem that demonstrates exactly how Steam's Early Access platform should work. In this updated preview, we're taking a look at the game's latest update, "Rise of the Falcon", as well as other major changes to the game, to see if SpeedRunners is still way ahead of the competition. 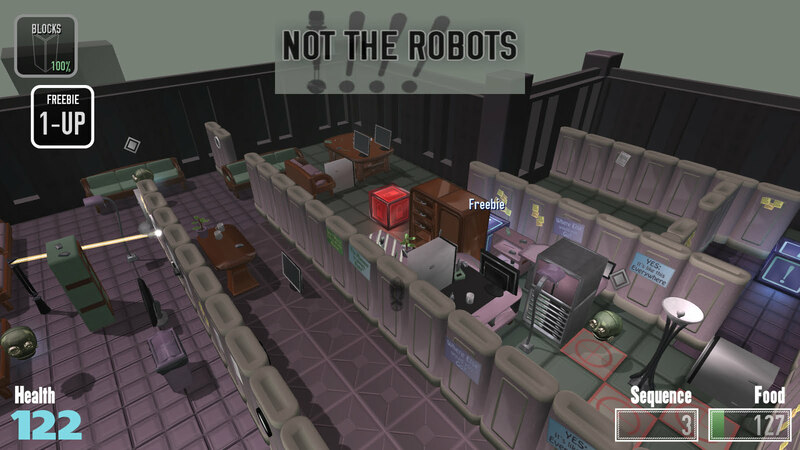 Not the Robots is a procedurally generated stealth game about robots eating furniture. It only gets stranger from there in our review.